THE SKINNY: I'm smitten with Atelier Cologne's Rose Anonyme Cologne Absolute. Rose scents normally aren't my thing, but this cologne mixes in spice, ginger and other woodsy scents. From the first whiff, I was blown away. This smells like Christmas. 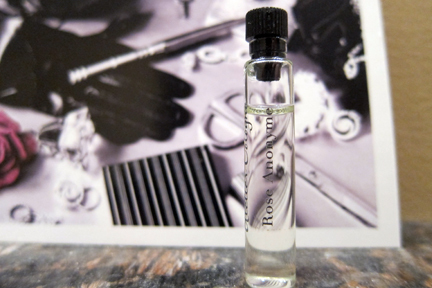 It's heavily spicy, almost masculine, and brings a whole new dimension to the scent of Bergamont rose. I smell patchouli and a winter fire. And I smile. This is a heavy fragrance that works well in winter but would be too much for the warmer months. KEEP OR TOSS: Keep. There's nothing else like this scent. If anyone ever wants to buy me a special present, this would be it. CHECK IT OUT: Learn more about buying options at Atelier Cologne online.